The It's Raining Beauty Wish Box has become the "rainbow" of my eyes. Looks really gorgeous and photographs well too! 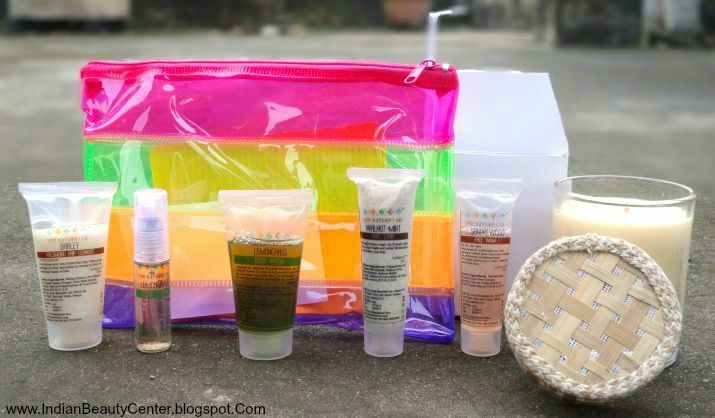 July BeautyWishBox is just a plastic pouch this time but the colors are just so vibrant. there's purple, orange green and pink too! Suits the theme perfectly. 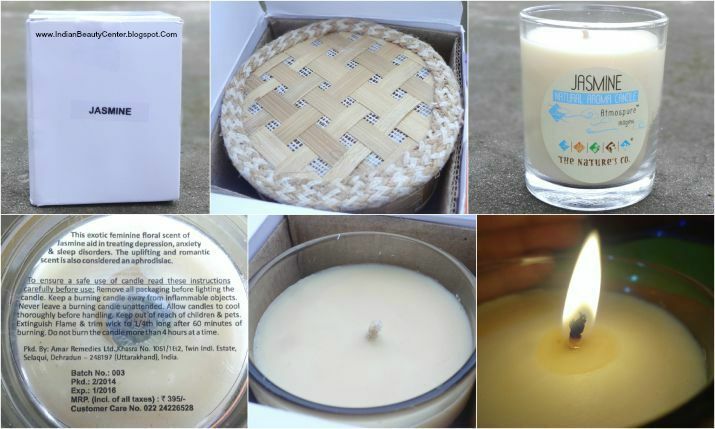 The first product that I received in a separate box, out of the pouch, is the Jasmine Natural Aroma Candle from the Atmospure range. I just love how it looks and how fragrant it makes my room! It suits all my moods and this is not just a "candle" it actually works. The soft, milky white wax melts and my whole room becomes mildly fragrant. This actually smells like perfume, flowery and a bit herbal. Costs Rs. 395 for 160g. Next from the Earthborne range I received the Barley Volumising Hair Cleanser for fine and limp hair that claims to remove excess oils and impurities leading to healthier and fuller hair. Have not tried this but it sure does sound interesting. I have never tried a shampoo that contains barley as the main ingredients, before. So, waiting to try this soon. I got a sample of 30ml. Full size costs Rs. 695 for 250ml. Walnut-mint foot scrub from the Earthborne range is the next sample of 20ml that I received in this beauty subscription box. Full size costs Rs. 425 for 125ml. It looks promising and I am excited to try this out too. 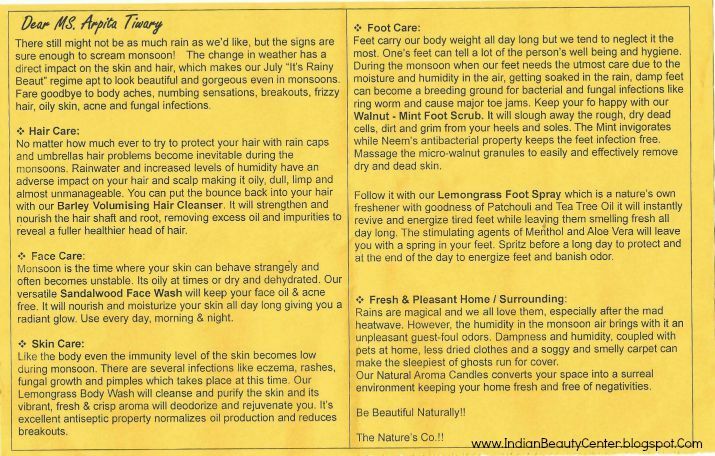 It claims to moisturize and soften the feet whole sloughing away rough, dry and dead skin cells. I was checking this body wash out previous month and was thinking about purchasing it. 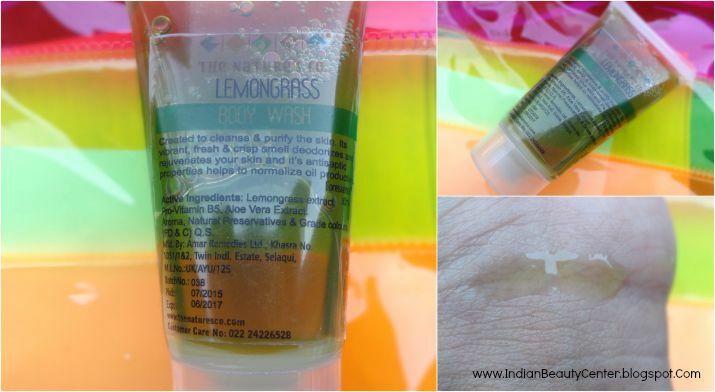 And now, I find a sample size of the The Nature's Co Lemongrass Body Wash in my bag. 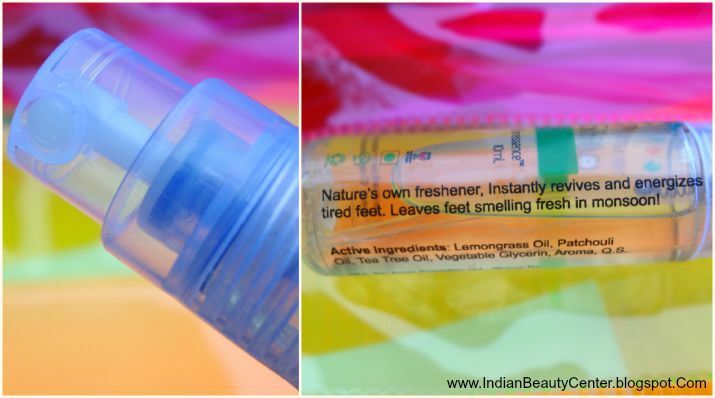 I will now try it out and then decide if I would like to purchase the full sized product of 250ml for Rs. 545. And it smells really minty, lemony and fresh! Looking forward to trying this. 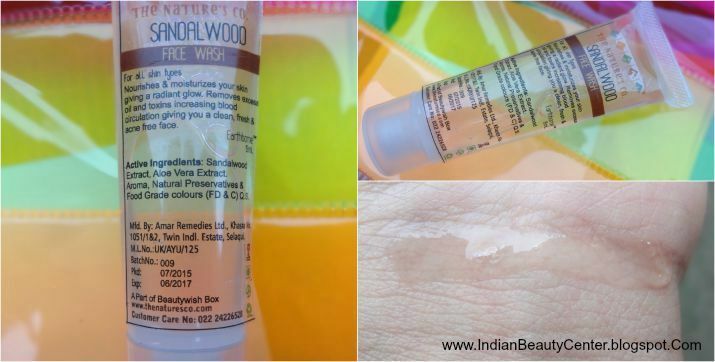 The Nature's Co relaunched their sandalwood range and I received a Sandalwood face Wash that exactly smells like pure, natural sandalwood. I received a sample size product of 15ml. I have tried this a couple of times and it really does its job nicely and cleanses the skin well. Full size costs Rs. 595 for 125ml. I also received a 35% discount coupon inside my bag and I can use it to avail flat 35% off on any products in the July 2015 Beauty Wish Box. So, overall, this deal is fantastic and profitable. Some might not like the idea of the candle but I love the aroma. 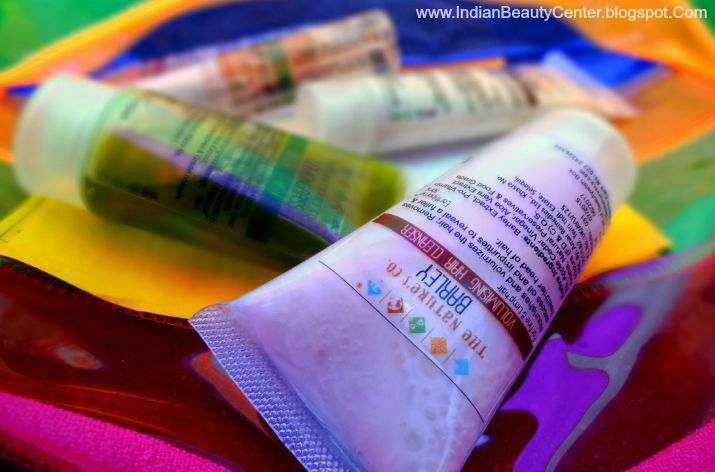 I love TNC products and I am looking forward to the coming month's Beauty Wish box.